Laura is usually hidden back in her office but you'll probably hear her from time to time on the phones. She works to make sure your accounts are in order and also works on all marketing for the office. She graduated in 2008 with a Bachelor Degree in Marketing from Southern Nazarene University. 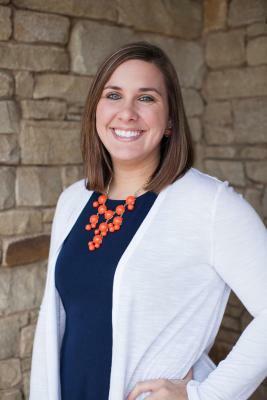 Prior to joining our team she worked in Admissions as a recruiter and event planner at SNU. Outside of the office Laura enjoys spending time with her husband, Brian, son - Paxton and daughter - Paisley. She also enjoys crafting, traveling and being outside.